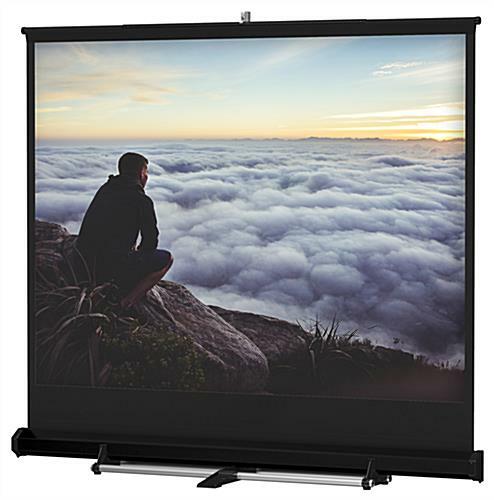 These 120x120 portable projector screens can be used as a backdrop in a trade show or for watching videos in a living room. 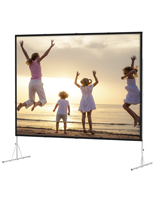 The displays are great for large presentations that makes them great for any situation. 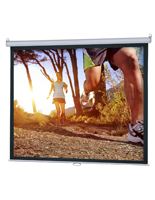 Each of the portable projector screens has a durable metal cassette that protects them from damage during transport to trade shows. 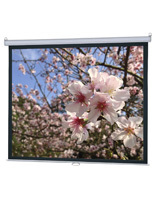 In addition, the backdrop fixtures feature durable stabilizers that keep them upright. 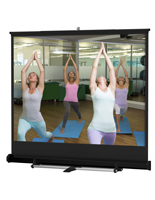 The projector screens are an ideal choice because they weigh 80 lbs. 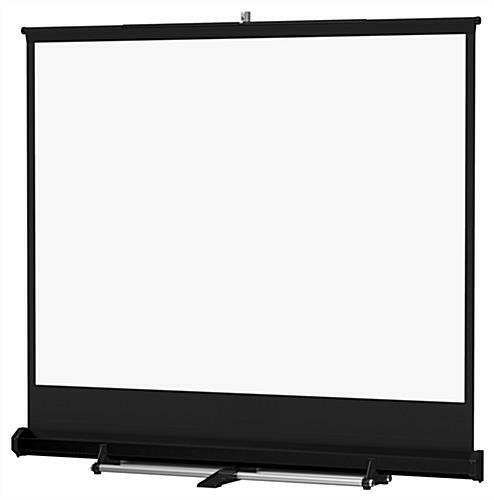 but they set up in minutes for bringing video to any room. 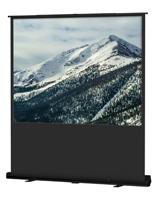 Displays like these are also available in a variety of other sizes as well.